We manufacture, export and supply Operation Table (POT06) exclusively for the ophthalmic surgery. It is very stable and versatile. 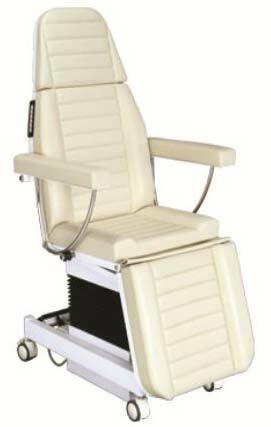 Its ergonomic design ensures comfort for both surgeon and patient. We put in dedicated efforts to bring the best to buyers. We have an excellent logistics system to ensure timely delivery of our Tables. The patient can be efficiently prepared for the operation, operated on, and offered post-operative care on, POT 06 Easy transformation from a smooth transportation chair into a versatile operation table. Multi-Adjustable Head Rest can be tilted independently and smoothly height- adjusted, enabling the patient's head to be kept in a convenient position. High load-bearing, stable Castors wheel for easy movement. Smooth, CE-marked TIWAN DC Motor-controlled chair lifting and back & forth positioning.